Retaining their original central bevelled mercurial plates, the borders executed in early cobalt blue glass. The early decoration executed in lead and in the manner of designs by Tessin and Daniel Marot. Mirrors of this type would have been considered the height of refinement at this early period. BURCHARDT PRECHT. Born Bremen 24th October 1651. Moved to Stockholm and worked for the Royal Palace in 1674 died 26th February 1738. He worked in Germany, England, France and Rome. 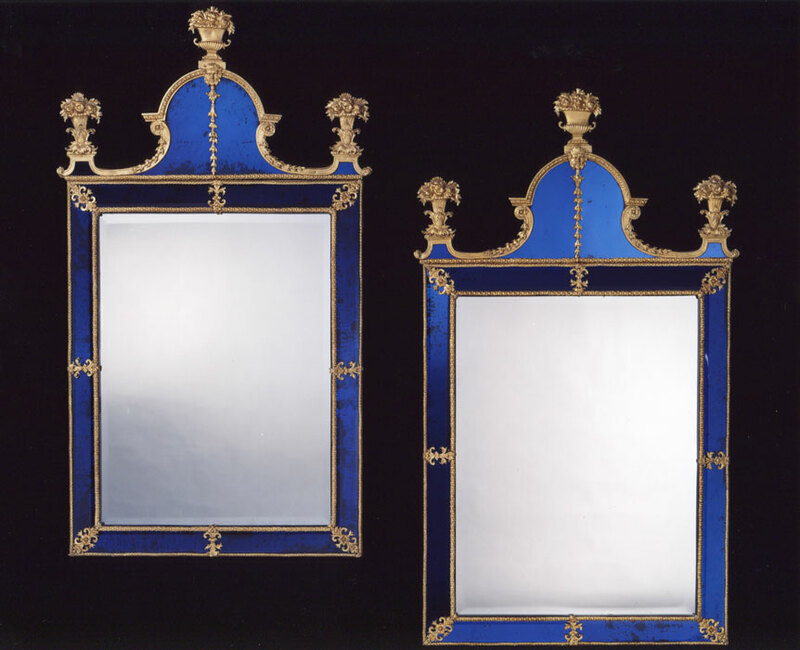 At this period, circa 1690-1715, these mirrors were extremely costly to make and thus very rare. 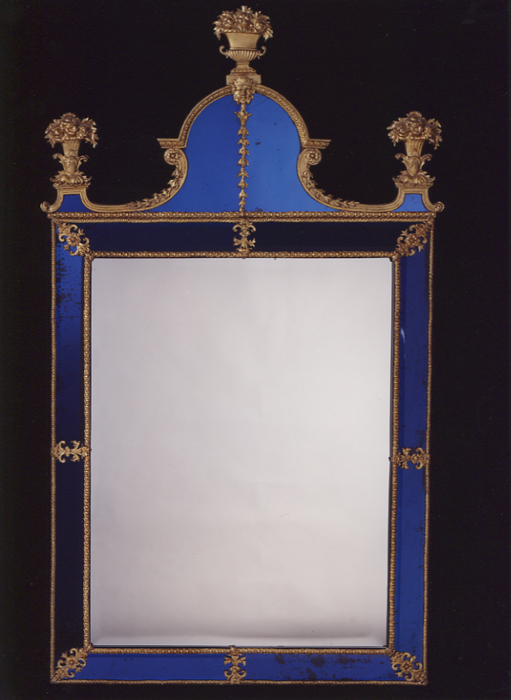 The early lead decoration which is in the English style of William and Mary and Queen Anne gave this type of mirror an international appeal in the late seventeenth century. 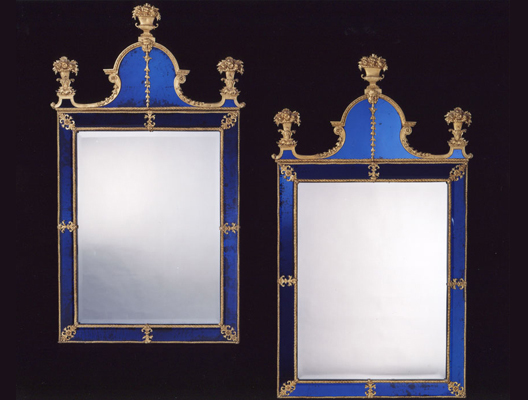 Precht mirrors are found in noble homes, museums or royal collections. Height 51in (129.5cm). Width 30in (76cm).